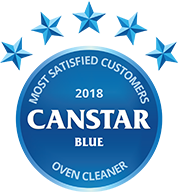 Compare oven cleaners from Easy Off, Jif, Mr Muscle, OzKleen and Selleys on their effectiveness, ease of use, product design, value for money, environmental friendliness & overall customer satisfaction, with Canstar Blue’s 2017 review & ratings. Canstar Blue research finalised in November 2017, published in December 2017. OzKleen claims that its ‘Oven Power’ oven cleaner “really works” and Aussie consumers seem to agree, rating the brand five stars when it comes to effectiveness, ease of use, product design, value for money and overall customer satisfaction in 2017. There aren’t many household chores that evoke quite the same sense of dread as cleaning the oven. But there are a few things you can do to make the job a little easier, including regular cleaning, and cleaning with the right tools. We can’t make you pull out your rubber gloves every couple of months, but we can help you find the best oven cleaner for your needs with our annual customer reviews and ratings. We’ve surveyed more than 1,000 consumers across Australia to find out which oven cleaners are scrubbing up best in kitchens, with brands rated on their effectiveness, ease of use and value for money (among other things) to help you pick the right one for you. Turning up the heat on the four other brands in this year’s review, OzKleen has climbed to the top of the table as the only brand to score five stars for overall oven-cleaning satisfaction. 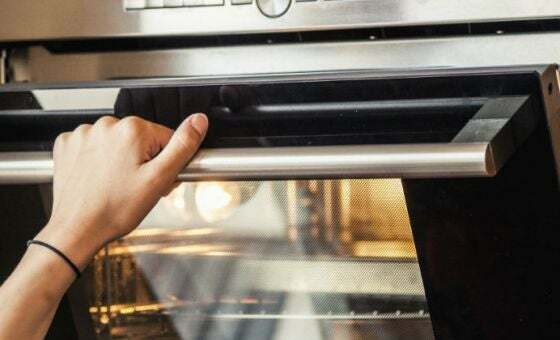 Its ‘Oven Power’ cleaner is claimed by the Gold Coast-based company to ‘actually work’ and Aussie consumers seem to agree. In addition to overall satisfaction, OzKleen was the only brand to rate five stars for effectiveness. It also received top marks on ease of use, product design and value for money. Easy Off, Jif and Mr Muscle all achieved four stars for overall satisfaction, with Easy Off and Mr Muscle both returning top marks on ease of use. Mr Muscle also performed well with regards to product design. Selleys also rated highly for product design, but received just three stars for overall satisfaction. This year’s review has seen OzKleen replace Jif at the top of the ratings, with the Aussie company now a serious challenger to long-established, global cleaning brands. The OzKleen brand consistently performs well in our customer ratings, particularly in the highly-competitive bathroom cleaners category where its ‘Shower Power’ product has been a previous winner. OzKleen has also previously led the field for carpet cleaners. Here is an overview of the five brands in this year’s oven cleaner review, in order of their ranking. OzKleen comes to the game with an interesting alternative to the old ‘spray and wipe’ or cream formulas. 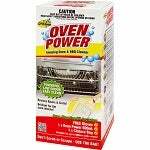 Instead, OzKleen offers an oven ‘power kit’. 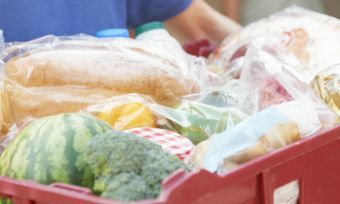 It features a closure bag, where racks and trays are popped in and smothered in ‘Oven Power’ for four hours, or overnight. After that, it’s a simple rinse with hot water and detergent – and you’re on your way. For inside the oven, you simply smear the product and leave it for same time period, before wiping down. This method of oven-cleaning is evidently winning over Aussie consumers, rating OzKleen five stars across all but one research category this year, the exception being environmental friendliness. 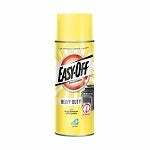 Famous for its ‘Bam’ cleaning products and TV commercials, Easy Off also boasts a supposedly high-powered spray oven cleaner. 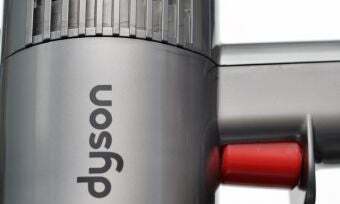 The brand claims this requires no scrubbing, and insists the spray can work on a warm oven in five minutes, while a cold one takes half an hour. Evidently, Aussie consumers were fairly pleased with its effectiveness and product design, rating Easy Off four stars in these categories. Most impressively it achieved five stars on ease of use, but had to settle for four stars on value for money and overall customer satisfaction this year. 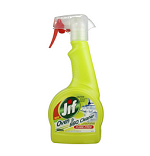 A global brand from the Unilever Corporation, Jif’s most standout product for cleaning ovens is probably the 500mL Oven and Barbeque Spray, with its fume-free application. Jif has also been commonly-known for its oven ‘creams’, but it seems these products are currently hard to come by in Australia. Jif topped our customer review last year, but this time has to settle for four stars for overall satisfaction and most other categories. However, it notably rated just three stars for product design. Evidently Mr Muscle’s biceps were not quite big enough for this gun show, earning four stars for overall satisfaction. 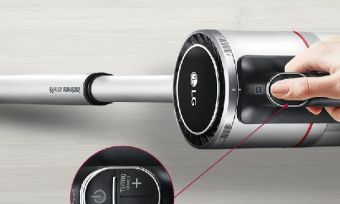 However, its oven cleaner features a convenient spray function, which gives credence to its five stars for product design and ease of use. 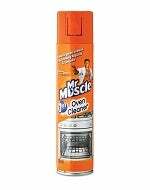 It is odourless and produces no fumes, but overall Mr Muscle rated four stars for oven cleaning satisfaction, with just three stars on value for money. 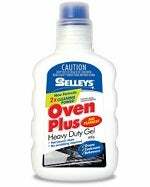 Perhaps best known for its DIY products like liquid nails and sealants, Selleys also makes a range of cleaners. Part of the Dulux group, Selleys has its fingers in all kinds of home improvement pies – oven cleaners included. There are three key products in the line-up – heavy-duty gel, a spray cleaner and wipes for easy and regular cleaning. Selleys earned three stars overall, but was solid on effectiveness and ease of use with four stars apiece, but excelled in terms of product design, scoring five stars. Canstar Blue commissioned Colmar Brunton to survey 3,000 Australian adults across a range of categories to measure and track customer satisfaction. The outcomes reported are the results from customers within the survey group who have purchased and used oven cleaner in the last 12 months – in this case, 1,017 people. Gas or electric, convection or conventional? Find out which type of oven is right for your home.